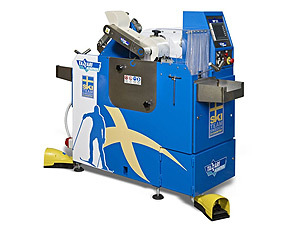 For years, the company Tazzari has, in a small series, been producing ski grinding machines for highest demands. 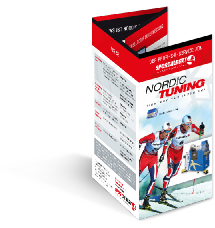 Almost exclusively, they are used in the Ski World Cup with the service teams of the national teams. 1. Due to an elaborate system, it is possible to grind absolutely linear structures. 2. Thank to a complex cooling system and computer technology, the machine grinds constant grindings, which can be retrieved permanently.